Mr. Richard Barnes, , P. Eng., M. Eng. Sc., FASME, is the President of ANRIC Enterprises Inc. He has been actively involved for over 38 years in the development of the ASME and CSA Codes and Standards. Previously, he worked in Ontario Hydro and Atomic Energy of Canada Ltd. in the areas of safety studies, equipment layout, process design, storage of used fuel, and integrity of the pressure boundary of nuclear power plants. ASME Contribution: Mr. Barnes is a member and Past Vice Chair of the ASME Boiler Pressure Vessel (BPV) Technical Oversight Management Committee; member of the ASME Board on Nuclear Codes and Standards, member and Past Chair (13 years) of the ASME BPV III Standards Committee (BPV Section III); and member of the QME-1 Standards Committee; CSA Contribution: Mr. Barnes is a member of the CSA N285A Technical Committee on CANDU Nuclear Power Plant Systems and Components and member of the CSA N286 Technical Committee on Management Systems. He is also a member of the CSA B51 Technical Committee on Boilers and Pressure Vessels and Past President of the Canadian Boiler Society. Awards: Mr. Barnes received the ASME Dedicated Service Award in 1998, the ASME Bernard F. Langer Nuclear Codes and Standards Award in 2003. In 2007, he was elevated by ASME to the Grade of Fellow. 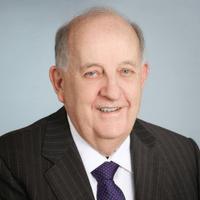 In 2009, the Canadian Nuclear Association (CNA) recognized him with the CNA Outstanding Contribution Award and in 2011 CSA recognized his contributions with the Award of Merit. Mr. Barnes is the recipient of the ASME Melvin R. Green, Codes and Standards Medal for 2018.